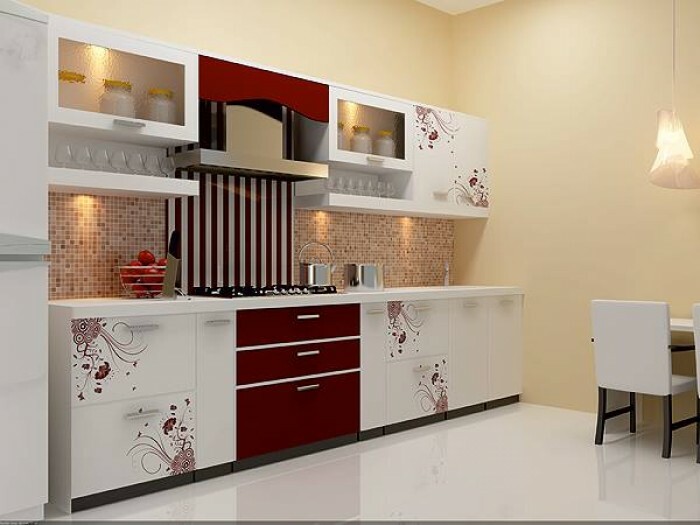 The first thing that comes in our mind is that how we should start planning our modular kitchen as it is the heart of your home. 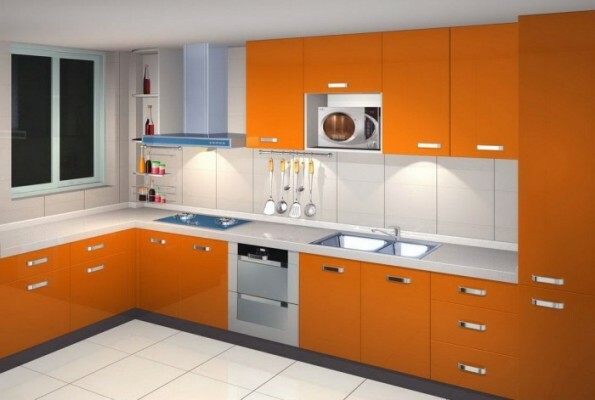 it is advised to first understand the utilities of the modular kitchen accessories as there is no dearth of options available in the market, such as modular kitchen appliances, furniture pieces, pullout trays, cabinets, drawers, etc.It will save your unnecessary expenses and make your kitchen design more meaningful. Achieve the kitchen of your dreams with a bit of careful planning. 1. Do not make any adjustment with respect to the material and fittings because its not a one time use, so always opt for the reliable resources. 2. If it works for them it will work for you is always not fruitful so never go by the designs and resources used by others, just remember every individual has his/her own needs. 3. 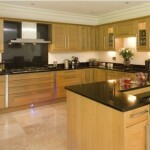 Always get a professional help in designing and installation of the kitchen. 4. Be very sure that the kitchen has an adequate lighting. Insufficient lighting will make your kitchen look and feel gloomy and cramped. 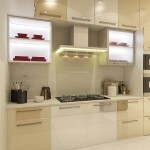 Besides the main lighting fixture in the middle of the kitchen, you can also put task lights under the hanging cabinets. 7. Use metal dining tables for small modular kitchens to add to the look of a larger kitchen. 8. Sink you choose must be located in an area that is within your reach while working. 9. 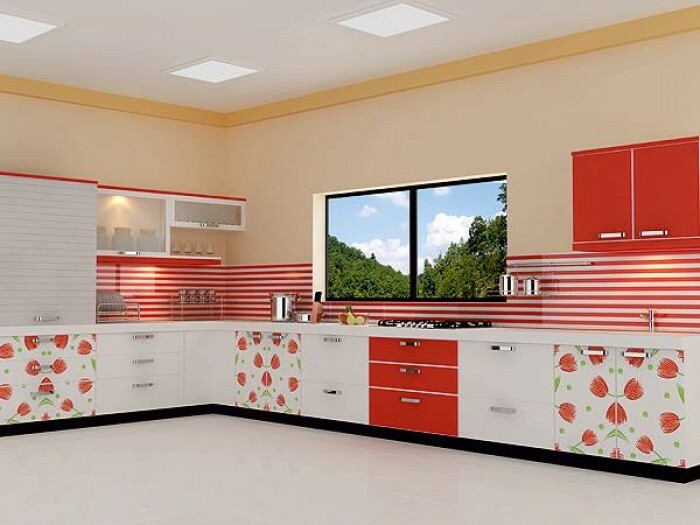 Ceramic wall tiles can make an excellent option for Indian modular kitchen designs as they are easy to maintain and clean. 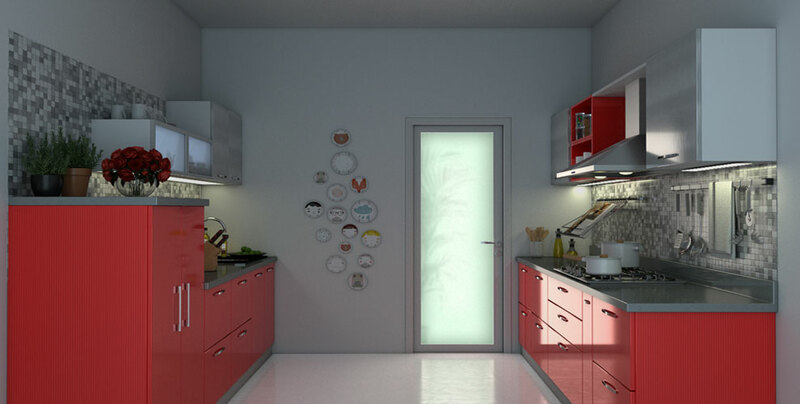 Looking for tips and ideas to design modular kitchen in your new flat? 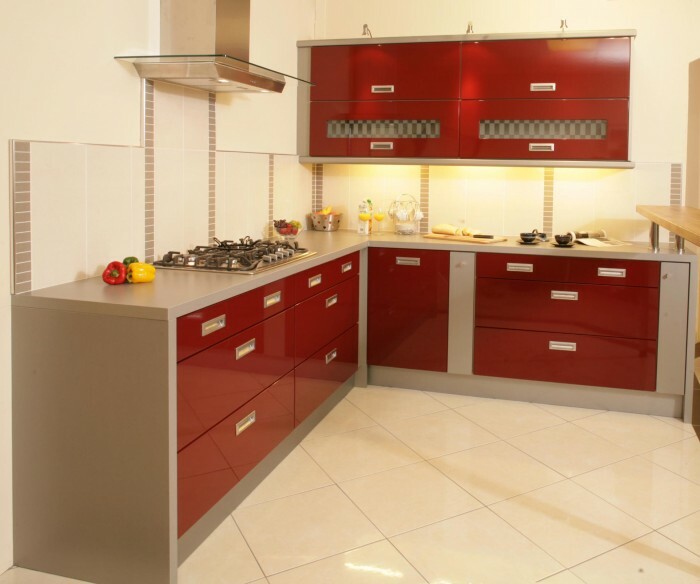 There are many benefits of having a modular kitchen. It gives you plenty of space for storage which is a must when we have limited space in our flats. 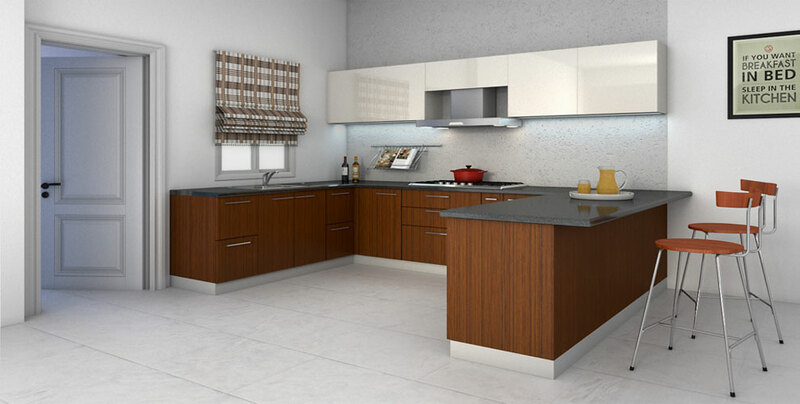 To design modular kitchen, it’s important to plan everything well in advance and decide whether you want an open kitchen or traditional one with closed doors? What kind of dining arrangement fits your need is also important. Modular kitchens come with a few options in terms of layout. An island gives a luxury look to the kitchen but its layout typically involves more space than is available in a small kitchen. This plan which is more suited to medium sized kitchens may still give you some ideas that you can include into your final kitchen design. A straight kitchen is a single line of cabinets. As the name suggests, a galley is normally long and narrow. 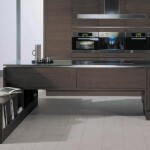 however, the design can function as a well-organized and sleek kitchen. It’s best to split the cooking and sink area with ends of work surface. This design still gives plenty of storage space and it can suit busy cooks who like everything close to hand you may include either glassy wall units or open shelving to prevent the room from feeling hemmed in. It´ll create a sense of space and open up the design. With cabinets along two opposite walls, a parallel kitchen offers more storage space, such as spread out depths and cabinet heights. 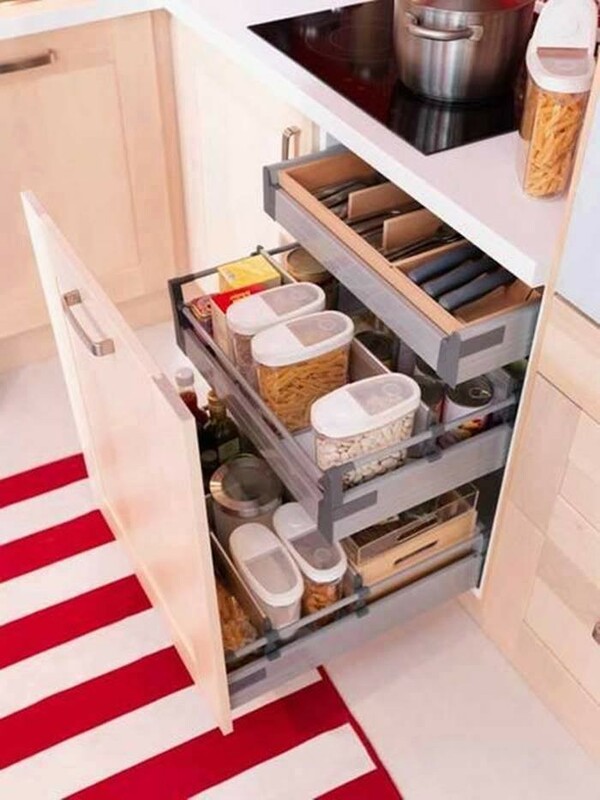 This can provide great options for a variety of cooking activities and storage , as well as preventing your kitchen room feeling like a corridor. A practical and popular layout that offers good storage and ergonomics, and provides a very effective working triangle. It works efficiently in small kitchens and in a larger room allows space for a dining table, so it´s good for families and entertaining. An effective U-Shaped layout typically involves more space than is available in a small kitchen. This plan which is more suited to medium sized kitchens may still give you some ideas that you can incorporate into your final kitchen design. Never compromise on the quality of the materials as high-quality materials will never be a cause for disappointment and serve you for a long time. Always go for trusted brands and if possible buy waterproof elements that may be little expensive, but will be durable for years. Base units or under counter units – These units are used for storing large, heavy or seldom used kitchen equipment. We always want a eye-catching kitchen, whether at a party or a house viewing. Well-designed kitchens stir strong feelings and make homes more saleable and increases the value of the property. 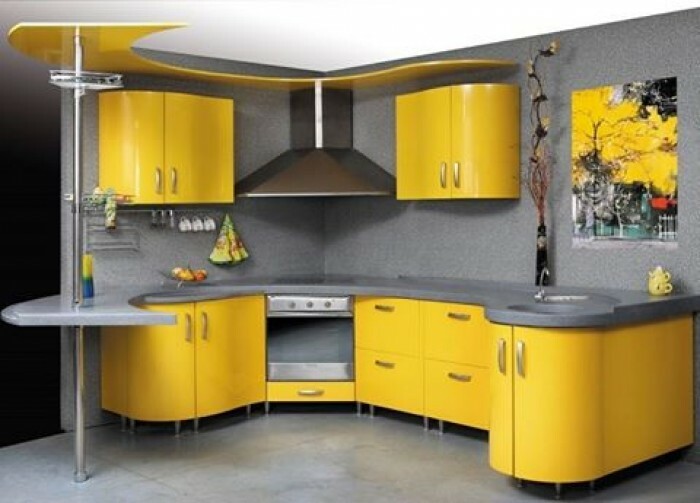 Modular kitchens are available in gazillions of colors and patterns. You might get confused after seeing the varieties of designs and patterns of a Modular kitchen, but always pick the one that goes well with the overall look of your home. 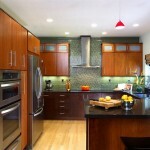 Modular kitchen cabinets you choose must be water, heat and scratch resistant. 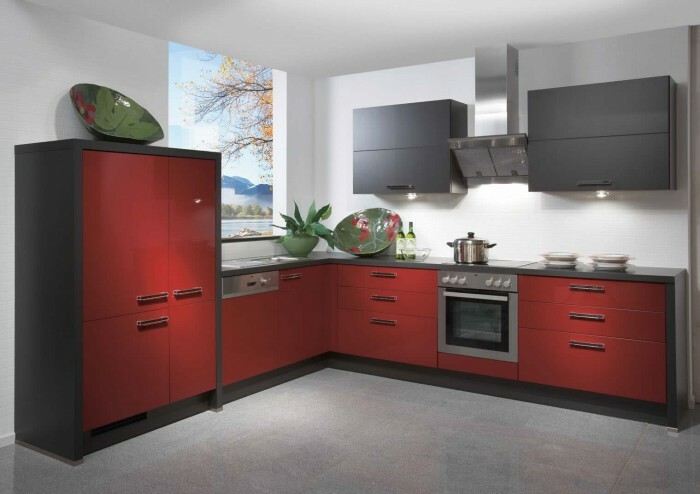 The best choice is the mild steel kitchen with powder coats. Modular shelves are a real space saver in even the smallest of apartments. Some modular shelves are designed to hang on doors; some can utilize even the most cramped corners, whereas one can convert even the narrowest spaces into a jar rack. The biggest advantage of modular kitchens is that you can personalize your kitchen space based on your need, requirement, taste and lifestyle. Without hiking up costs, you can choose a style that looks elegant in the kitchen space and saves your energy. Things that you need on a regular basis can be well-placed within reach in open racks, trays, and shelves. 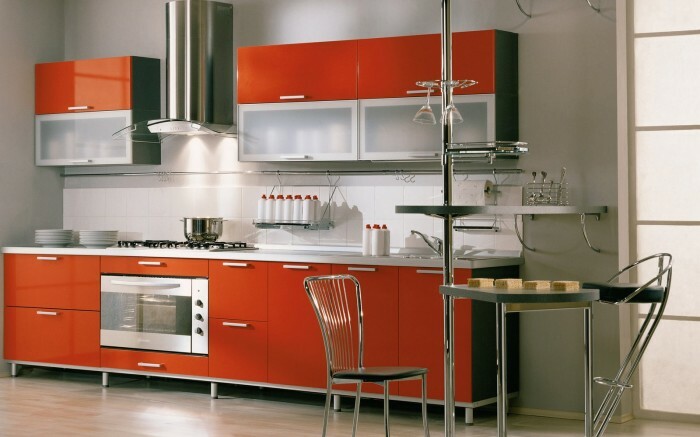 Modular Kitchens are easy to assemble, disassemble and reassemble. This feature will highly appeal to renters because the module system allows the whole kitchen to be shifted whenever you move. You can also get it repaired or altered again for the new space. This option is fairly pleasing, as in India, your old mason/carpenter-built kitchen never offered this convenience. For many of us, the kitchen is the hub of the home – a central meeting point where the family comes together at the end of the day – so it’s important to create a well-organised space that is not only a pleasure to use but also assists our increasingly busy lifestyles. 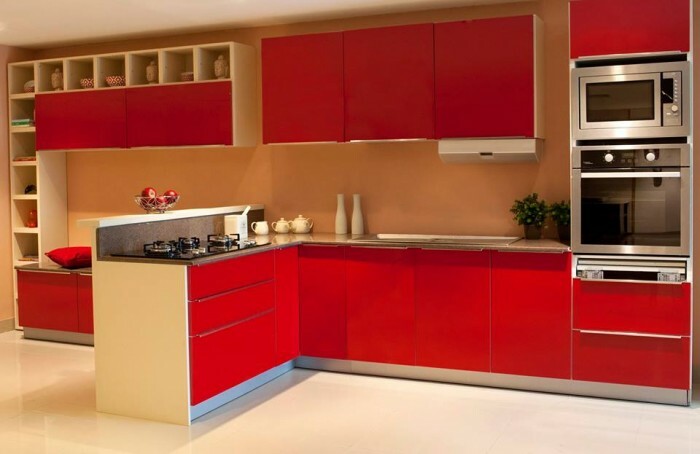 Hope the above tips will help you gift yourself a sophisticated modular kitchen. 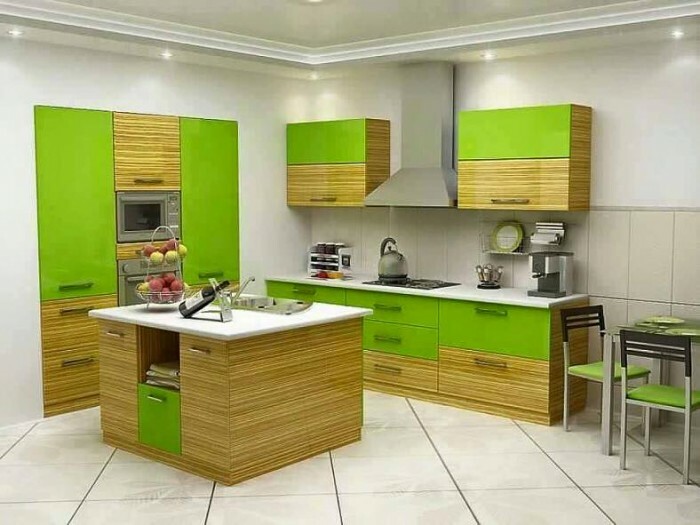 If you feel that you need an expert to renovate your old kitchen into a modular one, then hire an interior designer who excels in modular kitchens. 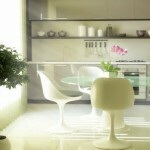 We can help you search the best interior designer for kitchens, in your city. Just request us for quotes in our website.